Are WSOP ME Pay Jumps Too Steep? The World Series of Poker announced details of the schedule for the 2015 event and not everyone is happy. The main bone of contention seems to be the Main Event, specifically the top-heavy nature of the prize pool. Daniel Negreanu was the highest profile player to raise his concerns about the guaranteed first prize of $10m. The chances of cashing, increases the chance that recreational players will play not only this year but in future years. Negreanu added that he was “yet to hear either a pro player or an amateur that is in favor of a $10 mill first prize. It truly doesn't serve anyone's best interest”. Multiple WSOP bracelet winner Phil Hellmuth was right behind Negreanu, saying that he agreed 100%. 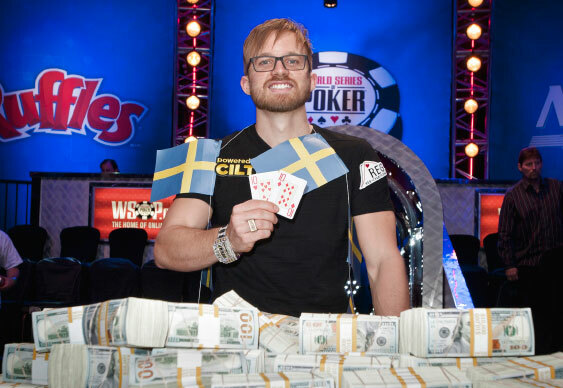 2014 WSOP Main Event winner Martin Jacobson pocketed $10m of the $62m prize pool. That equates to around 16%. Is that too much? Should the prize pool be flattened? Let us know what you think?